Drivers who get behind the wheel after just half a pint will now face an automatic ban under strict new laws. 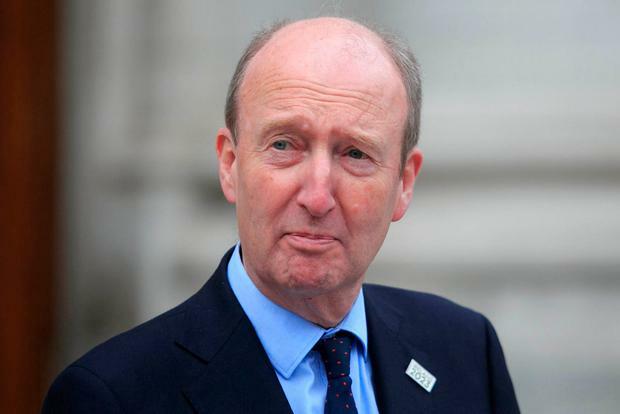 Controversial new legislation proposed by Transport Minister Shane Ross has finally passed in the Dáil following months of filibustering. The legislation does not change the limits for alcohol consumption, at a blood alcohol level of 50mg for experienced drivers, but anyone found over this will now be put off the road for three months. Read more: Explainer: How much can I drink under new drink-drive laws? And how long is the ban? The limit is lower for learner drivers and professional drivers, at a blood alcohol level of 20mg. One standard drink is considered enough to put someone at risk of going over the limit, which includes a glass of beer, a small glass of wine or a pub measure of spirits. The amount someone can drink and remain under the limit can be affected by a number of factors, however, and road safety experts advocate that no alcohol should be taken by someone planning to drive. At the moment, people found to be driving while over the limit are given a fine and three penalty points. Currently disqualification is only handed out as a penalty for drink drivers found with more than 80mg of alcohol in their blood. The new laws have been vehemently opposed by a number of rural TDs and saw farcical scenes break out in the parliament on a number of occasions. However, at a special sitting of the Dáil - attended by just 83 TDs - the bill was finally passed after a special provision invoked by Social Democrats TD Catherine Murphy, which effectively called a halt to the debate. Mr Ross said he did not know when the bill, which he said will save lives, will come into effect but said he does not expect the same delays in the Seanad. In addition, the legislation will also introduce strict new laws aimed at learner drivers. Unaccompanied learner drivers can now have their vehicle seized by gardaí and motorists who allow learner drivers to drive their vehicles unaccompanied will also face prosecution and a fine of up to €2,000. The amendment to the law that deals with learner drivers is named after the Clancy family, who lost two members in a road traffic tragedy almost three years ago involving an unaccompanied learner driver. Noel Clancy, who lost his wife and daughter in the accident, said he was relieved the legislation was passed but said he was "very frustrated" at the tactics deployed by rural TDs. "I think I have been in the Dáil 10 or 12 times, it's almost a second home at this stage, and it is absolutely frustrating to listen to the absolute rubbish that was spouted," Mr Clancy told RTÉ Radio One's 'Drivetime'. The filibustering, which Mr Ross described as "irresponsible and reckless", emerged as a tactic among members of the rural Independents grouping, including TDs Michael and Danny Healy Rae and Tipperary TD Mattie McGrath. The group objected to the legislation on the grounds that it would foster rural isolation and prevent those in rural areas from being able to travel to and from work while awaiting a driving test for a full licence. Following the passage of the bill - which was met with a round of applause in the chamber - Danny Healy Rae termed it "a sad day for rural Ireland". Earlier, his brother Michael said he was not filibustering but was engaging in due debate. Mr Ross, however, claimed the delaying tactics had cost lives. Donna Price, founder of the Irish Road Victims' Association, said she believes it would deter people who may have otherwise risked a drink-driving conviction from getting behind the wheel. Explainer: How much can I drink under new drink-drive laws? And how long is the ban?